Abstract: Many applications in basic and applied science fundamentally depend on how accurately time or frequency can be known and therefore have their performance tied to the performance of their master oscillator. At optical frequencies, these oscillators (narrow-linewidth lasers) are important for resolving spectral features with high precision, for achieving low bit-error rate performance in coherent optical communications, for performing high-resolution interferometric measurements of distance, temperature, or strain, and for serving as the seed laser for the most advanced optical-atomic clocks. We present here the development of a new class of ultra-low noise lasers based on stimulated Brillouin scattering (SBS) in a centimeter-scale microresonator. Using this configuration, we achieve noise levels below that of fiber and solid-state laser technology with corresponding lasing linewidths below 100 Hz. Taken together with the laser’s compact size and low pump-power requirements, the SBS microcavity laser exhibits promise as the next generation technology that can bring the performance of state-of-the-art lasers onto a chip-scale platform. 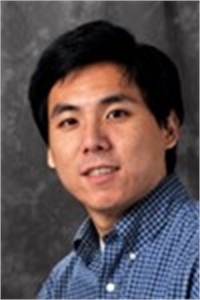 Biography: William Loh received the B.S. degree in Electrical Engineering from the University of Michigan, Ann Arbor in 2007, and the M.S. and Ph.D. degrees in Electrical Engineering from the Massachusetts Institute of Technology (MIT) in 2009 and 2013, respectively. He is currently a National Research Council Fellow conducting his postdoctoral research in the Time and Frequency Division at the National Institute of Standards and Technology. His research interests include novel structures and schemes for semiconductor optical devices, microwave-photonic oscillators for synthesis of low-noise RF signals, physics of noise processes in oscillators and optoelectronic systems, and modeling of optical phenomena in photonic systems and devices. He is the recipient of the MIT Siebel Foundation Scholarship in 2009, the IEEE Photonics Society Fellowship in 2012, and the NRC Postdoctoral Fellowship in 2013.